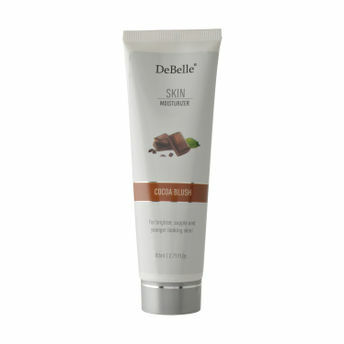 DeBelle Skin Moisturizer is a burst of anti-oxidant rich cream and naturally enriched extracts. This cream helps in firming skin and brightening up damaged skin caused due to exposure to environmental pollutants. It provides UV protection and can be used as a day cream or night cream. Try the anti-oxidant rich cream filled with the goodness of natural ingredients for a refreshing and youthful looking skin. Bring out the beautiful you with DeBelle. Skin moisturizer made with natural extracts. Can be used as day and night cream. Explore the entire range of Night Cream available on Nykaa. Shop more DeBelle products here.You can browse through the complete world of DeBelle Night Cream .